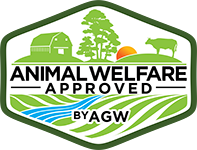 Monte Bottens raises Certified Animal Welfare Approved by A Greener World (AGW), Certified Grassfed by AGW beef cattle at Grateful Graze in Cambridge, Illinois. Monte worked for many years to adopt soil improving practices such as no-till, buffer strips and cover crops. Recently, he has brought livestock back to the land, and the Grateful Graze business began as a way to provide healthy food from healthy soil to local families. The name of the farm is exactly how the family feels about their business: “We are grateful for your belief in us, our team who makes this possible, the animals in our care and the land we steward,” explains Monte. 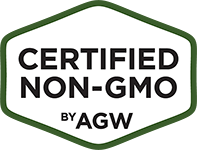 Monte manages his Certified Animal Welfare Approved by AGW, Certified Grassfed by AGW beef cattle outdoors on pasture using rotational grazing practices, grazing one section of pasture before moving them to fresh fields. This type of management ensures the animals have access to the most nutritious pasture and allows grass to recover before they return to graze again; it also keeps the soil naturally fertilized and minimizes the potential build-up of internal parasites, thereby avoiding reliance on chemical treatments. The cattle at Grateful Graze are Certified Grassfed by AGW, which is the only certification and logo in the U.S. and Canada that guarantees food products originate from animals fed a 100 percent grass and forage diet, raised outdoors on pastures or range for their entire lives, and are managed according to the highest welfare and environmental standards on an independent farm. 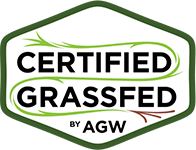 The AGW certifications are an important connector for Grateful Graze as it helps them to share their farming philosophies with their customers. “We believe that soil health, animal health, and human health are linked together in ways that we are just beginning to understand,” says Monte. 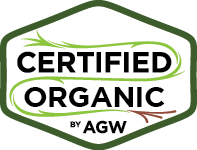 Certified Animal Welfare Approved by AGW, Certified Grassfed by AGW beef from Grateful Graze is available directly from the farm. Contact Monte Bottens at 888859-7418. For more information about the farm, visit gratefulgraze.com. You can also follow the farm on Facebook and Instagram.